NEW YORK, NY (December 4, 2018) – Latch, creator of the world’s first smart access system, announced today that Euan Abraham, formerly of Apple and GoPro, will join the company as its Senior Vice President of Product Design Engineering. 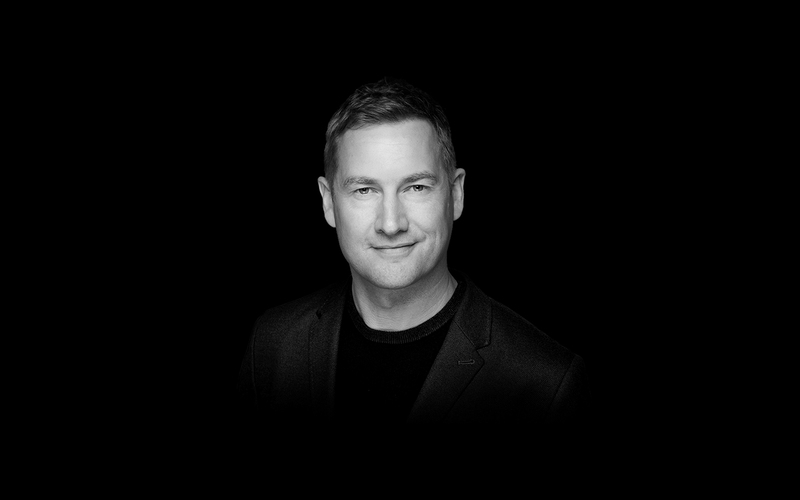 In this new role, Euan will open Latch’s new San Francisco office and oversee Latch’s research and development roadmap, building on the company’s rapidly growing reputation for world-class products and experiences at the intersection of design, technology, and physical space. Euan brings decades of leadership and expertise designing complex systems at some of the world’s most successful product companies. He most recently served as the VP of Hardware Engineering at GoPro, where he oversaw the development of the company’s Hero7 cameras, Karma drone, and accessory lines. His experience leading the development of some of the most advanced outdoor electronic products will be directly applicable to designing the Latch ecosystem of products, many of which spend years in the toughest environments. “Euan embodies everything that we strive to create at Latch and is someone that I deeply respect for his humility, craftsmanship, and creativity,” says Luke Schoenfelder, Latch CEO and Co-Founder. Prior to GoPro, Euan was the Head of Mechanical Engineering at Tyto Life, LLC, the maker of the Otto smart lock, and a Senior Product Design Engineer at Apple, Inc. He is a named inventor on patents relating to the Macbook Pro Touch Bar, scissor keyboard, iMac, and numerous other products. During his time at Apple, Euan worked directly with senior industrial design and engineering team members to design, prototype, and ultimately deliver numerous generations of Apple hardware to consumers. “It is a rare opportunity to get to develop products that are defining a totally new category, and Latch’s smart access hardware and software products transform the day to day experience for anyone living in an urban environment,” says Euan. In his new role, Euan will report to Brian Jones, Latch CTO and Co-Founder, and support Schoenfelder and Thomas Meyerhoffer, Latch CDO and Co-Founder, in developing future Latch products. Latch’s current hardware and software systems give property owners and residents the ability to digitally manage every door in a multi-family building and provide seamless experiences for all stakeholders in a multi-family setting. Founded in 2013 by former Apple employees, Latch worked in stealth until 2016 alongside the world’s largest real estate companies to design three core access devices and create the first full-building smart access solution for apartment buildings. To date, Latch has completed projects in nearly every major U.S. metropolitan market, working with many leading developers, including Alliance Residential, Brookfield, Encore Capital Management, Prometheus, Related Group, Strategic Capital, Tishman Speyer, and Toll Brothers. ‍Latch’s smart access system lets residents and building owners or operators use a smartphone, keycard, or doorcode to unlock doors throughout a building, including at the main entrance, their apartment unit, gym, and other amenity spaces. Users can also grant temporary access to guests and service providers, like dog walkers and cleaners, through time-limited access codes. An embedded wide-angle camera within each device captures a still image of every interaction by a non-resident, creating a visual audit trail accessible from the Latch app and giving residents peace of mind when they are away from home. And through Latch’s national delivery partners, residents’ packages are automatically delivered safely inside their building lobby or package room. ‍Latch is the creator of the world's first smart access system designed for enterprise users and access sharing. The company was founded by a team of former Apple employees and has raised $96 million in private funding from leading investors and many of the world’s largest real estate companies. Headquartered in New York City, Latch is at the forefront of changing the user experience around access. Learn more at www.latch.com.